Great feedback from the international K 2013 fair where the Group showcased the latest machines and complete plants for caps, preforms and large “one-step” items. Made-in-Sacmi solutions and technology were recently showcased in Düsseldorf, the German city that hosted, from 16th to 23rd October, the world’s leading plastic industry fair. Innovative, flexible and high performance solutions for the production of caps, preforms and containers were on show, as were powerful presses for the manufacture of large “one-step” items. Also on display were presses designed to combine the best of hydraulic and full electric technologies, highly competitive units suitable for the production of special pieces. These solutions – on show at the Sacmi stand – attracted keen interest among the over 200,000 visitors from over 120 countries. Just for starters, visitors were able to admire the innovative devices on the new CCM 48 S, specially optimised to be fitted with the innovative COOL+ mould, resulting in a high-output combi capable of manufacturing 29 mm mineral water caps with the shortest cycle times ever achieved in the industry (1.44 seconds). Sacmi compression solutions are synonymous with CBF, the new container-manufacturing machine that is gaining fast-growing consensus on global markets thanks to design features that give it world-beating performance and outstanding flexibility; it can, in fact, process all of today’s commercially available resins (HDPE, PS, PET and PP). Thanks to speed and reliability, at Düsseldorf the CBF proved to be an attention-grabbing success, as did the all-new IPS, the preform manufacturing injection press with which Sacmi has shown itself to be a key global player across a range of sectors and technologies; and as of this year Sacmi is able to provide it fully integrated with the bottling line thanks to the new highly automated dynamic buffer unit (CPB LINK). Then, of course, there was Negri Bossi, the Sacmi Group company that is one of Europe’s leading designer-manufacturers of thermoplastic injection moulding presses; they were at K 2013 with their own range of presses, which offer the ability to produce large one-step items of complex design. These presses offer outstanding reliability and very short cycle times; moreover, all machines are equipped with Smart Energy devices to contain consumption. 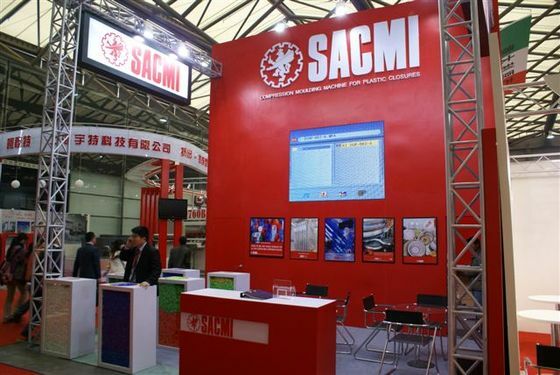 Without forgetting, of course, Sacmi’s new Bi-Power VH 1000, the smallest unit in the successful 2-platen machine range that has, over the years, allowed Sacmi to establish itself as a key industrial partner to major international players in the automotive, environment and construction sectors. Great feedback, then, from what is the world’s most important plastic manufacturing fair! These encouraging results allow Sacmi to look ahead to coming international events with confidence, secure in the knowledge that our technological prowess always keeps us one step ahead of an ever-more competitive market that is attentive not just to the efficiency of individual solutions but also the smooth integration of production systems and optimal energy consumption.